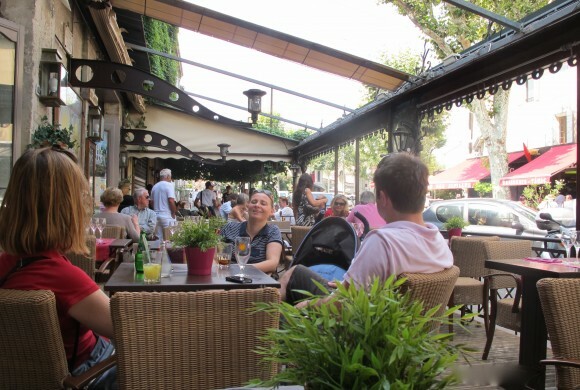 If the animated buzz and bourgeois mien in the cafes and restaurants of St.-Rémy-de-Provence appear to mimic the frenetic energy of Paris, consider that St-Remy is a favored summer hangout of the Parisian smart set (French who say “je suis confu” instead of “je m’excuse.”) – a twenty-minute hop off the TGV at Avignon after an Express of 2 hours 54 minutes from the Gare de Lyon. The unique allure of St.-Rémy-de-Provence with its boutiques, galleries, museums – including the one of Van Gogh – is town-and-country sans the gauzy ring of suburbs: two minutes beyond the chic lies expansive Provencal countryside with awesome vistas of the Alpilles. Where better to capture the dual essence of a stay in St.-Rémy-de-Provence than at Le Mas des Tourterelles, a thoroughy elegant Provencal farmhouse within a few minutes walk from the town center where you take déjeuner or diner, or an apero, at your leisure. Backstory: Nine years ago from Dartmoor, England came calling to St.-Rémy-de-Provence Carrie and Richard Ahern, who set about to makeover a farmhouse and barn into a classy bed & breakfast, sequestered within a private and beautifully landscaped property with a pool. 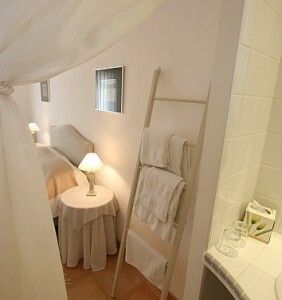 In the farmhouse, there are four Provencal-decorated rooms – all doubles, two upstairs, one with views, and the two downstairs doubles may be connected. Upstairs in the old barn with a private entrance is a large apartment with a full kitchen and dining area for six, a salon and large bedroom. A private terrace looks out over the pool with a view of the Alpilles. There is WiFi and parking, and guests tout the tasty continental breakfast and the over-the-top hospitality. A plus: their website is totally pro with ample pictures and descriptions. 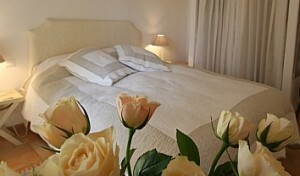 This entry was posted in Reportage and tagged B&B, Gites, Hotel, St. Remy de Provence. Bookmark the permalink.